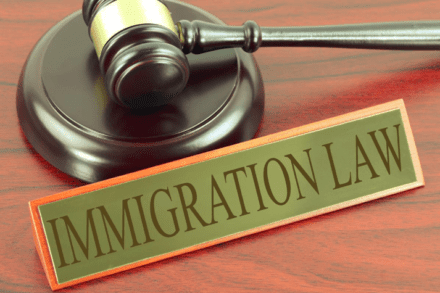 During these days of uncertainty over immigration policies and the constantly changing political climate, an immigration attorney could be a valuable resource. If you are living in the Austin area and think you might need to hire an Austin immigration attorney, the first step is to understand what services they can provide. Immigration attorneys provide a wealth of information and assistance on a large range of issues. Applying for citizenship is a complicated process and can take up much of your valuable time. In addition, this can be confusing for people who are new to the country. An immigration attorney can help you gather all the documents you will need, and help prepare you for the citizenship tests, in addition to other services related to applying for citizenship. To understand the process, the official government website is your best source. Another area an immigration attorney can help with is facing deportation. They will provide valuable advice and can defend you if your case ends up going to court. When you hire an immigration attorney, they become your strongest ally and will fight to ensure that every aspect has been researched to defend your right to stay in the country legally. They can prepare you and any witnesses for your day in court, if necessary. If you are looking for an Austin immigration attorney in Texas, call Jackson Law Firm first. They have a team of experienced attorneys that can help you solve any immigration problems you may have. They know how to fight for your right to legally stay in the country of your choice. That’s interesting that an immigration lawyer can help with someone is facing deportation and can help them to stay in the country legally. My friend has to renew her VISA for school so she can continue to go here and work so I got curious to see if an immigration lawyer could help her. I’ll have to tell her they can help her if she does have to face deportation for some reason instead of them renewing her VISA.